Singapore Airlines owns 49 per cent stake in full service carrier Vistara, while the remaining shareholding is with the Tatas. Singapore Airlines group has significant number of flights connecting various Indian cities. 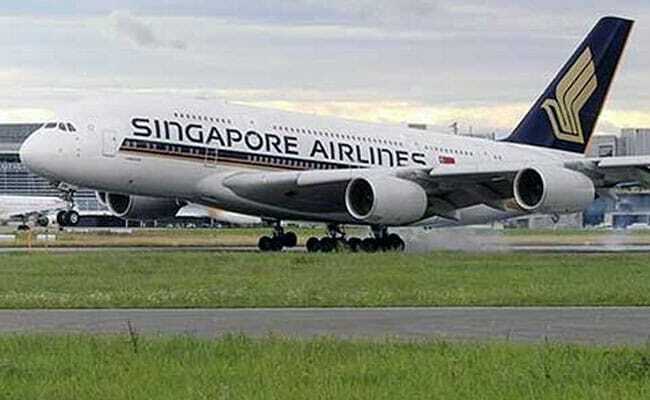 New Delhi: Singapore Airlines said it will keep options open on Air India stake after the government allowed foreign carriers to own up to 49 per cent in the national carrier. "Our priority is the further expansion of Vistara. However, we will keep our options open with respect to the proposed disinvestment of Air India," Singapore Airlines said in an e-mailed statement to PTI. The response was for queries related to the government permitting foreign airlines to have up to 49 per cent stake in Air India and whether Singapore Airlines would bid for the carrier. Singapore Airlines owns 49 per cent stake in full service carrier Vistara, while the remaining shareholding is with the Tatas. Besides, the Singapore Airlines group has significant number of flights connecting various Indian cities. Now, foreign airlines have been allowed to have up to 49 per cent stake under the approval route in Air India subject to certain conditions, an official release said. Foreign airlines were allowed to invest under government approval route in the capital of Indian companies operating scheduled and non-scheduled air transport services, up to the limit of 49 per cent of their paid-up capital in 2012. The provision was however not applicable to Air India. "It has now been decided to do away with this restriction and allow foreign airlines to invest up to 49 per cent under approval route in Air India...," the release said. Foreign investments in Air India, including that of overseas airlines, should not exceed 49 per cent either directly or indirectly. "Substantial ownership and effective control of Air India shall continue to be vested in Indian national," the release said. While there have been reports suggesting that Tatas and Singapore Airlines might jointly bid for Air India, there has been no official word from the government or the carriers concerned. Last week, Vistara CEO Leslie Thng said that Tata Sons and Singapore Airlines have an "open mind" on the issue of disinvestment of Air India and will evaluate if there was a business case for them. The government is in the process of finalising the modalities for strategic disinvestment of debt-laden Air India.